Discussion in 'Eggs, Cheese and Dairy' started by medtran49, Feb 7, 2019. I can't believe it's been 2 years since Craig and I had a fondue meal. Found the pics when I was looking for the escargot photos. I made a cheese and chocolate one with our girls 1 time last summer when I visited with them but that's the last time I had it. Neither of us had ever had fondue until about 5-6 years ago when I finally convinced Craig to check out The Melting Pot, which is a small chain of fondue restaurants in the US. They have quite a varied selection from a create your own fondue experience to prix fixe meals. We took our oldest GD there 1 time when she was visiting and the child went bonkers for it. Ended up getting a pot like The Melting Pot uses, except ours has inserts so you don't have to have more than 1 and don't have to clean in between, as well as sectioned plates, forks, etc, plus got an induction burner so we could cook at the table like they do in the restaurant. It's about time for another fondue meal, maybe Valentine's Day. 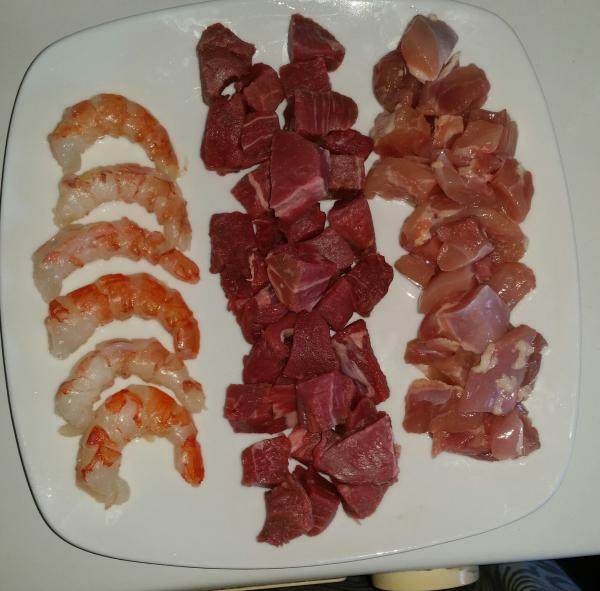 Shrimp, beef, chicken ready to cook. 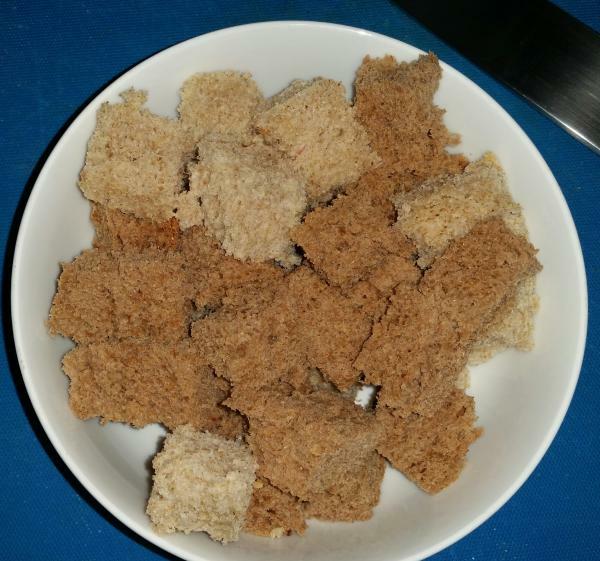 Bread cubes for cheese course. We didn't have a chocolate course for that meal, but would definitely have to have one for Valentine's. 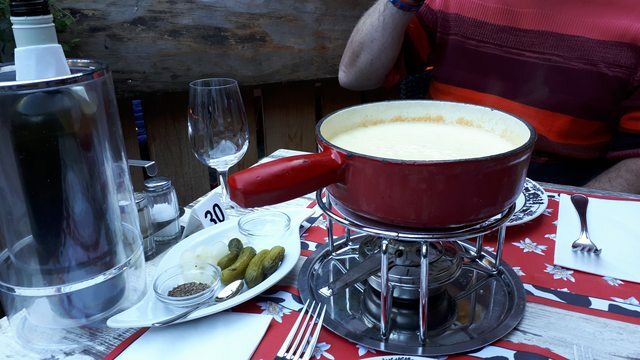 Last year when we were in Switzerland we treated ourselves to a fondue and interestingly they provided a little dish of caraway seeds which you could add to the melted cheese. I love caraway and thought it added a really nice dimension to the flavour of the fondue so I've started doing that at home too. medtran49 and morning glory like this. I'm going to have to add cornichons to our plates next time. I'm sure they make a nice balance to the richness of the cheese. I love cheese like that. I wouldn't have to fight Craig too much. He'd rather have toast than the fricos I make for mushroom risotto. For the life of me, I don't know why though... I mean it's crispy cheese! SatNavSaysStraightOn and morning glory like this. One of my new Recipe books had a recipe in it for a vegan cheese fondue. You've given me an idea for next week . I'll have to see if I have all of the ingredients. If not I have this weekend to track them down. morning glory and medtran49 like this. Can I use my makeshift double boiler to melt the cheese, instead of buying a fondue pot? You'd be better just using the saucepan on the stove - no double-boiler needed for cheese fondue. When preparing the fondue I've found its best to put the fondue pot directly on the stove to heat the wine and melt the cheese. When its nice and hot and bubbly I add the cornflour slurry to thicken and only then does it get transferred to the stand. Keeping it hot at the table could also be a challenge: ideally you want a fairly fierce heat underneath to keep the cheese bubbling and to create the crusty bit on the bottom. 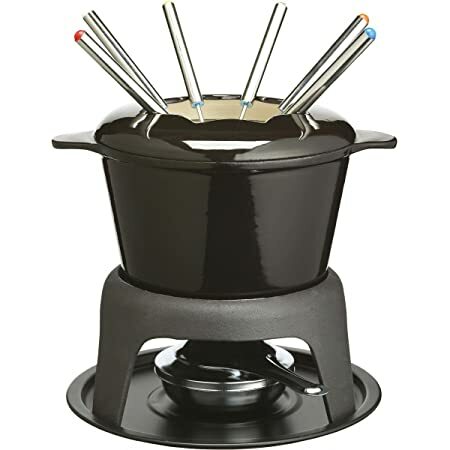 The meths burner in the fondue set does this, but without one you could keep returning it to the stove to heat it up every 5 mins or so – this is what we do when we have a fondue in the motorhome (we don't carry a fondue set with us). Shermie and morning glory like this. 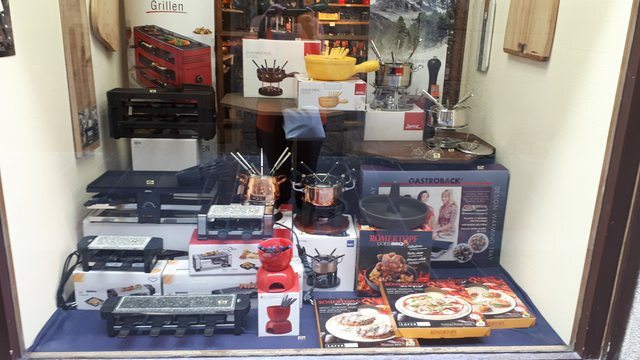 Never done fondue, but went through a raclette phase about twenty years ago! 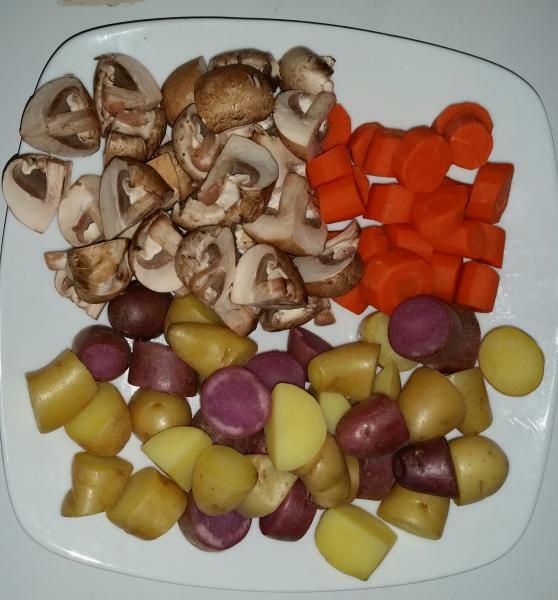 Great fun for small gatherings of friends and family, and an ideal way of introducing children to simple cooking. Cheese fondue filled whole roast pumpkin has become a tradition here for Halloween. I’ve never dipped meat in it though. Just bread and I make my own scoop shaped crackers that are sturdy enough to scoop out some pumpkin along with the cheese. Ooh. Please post this. I'm getting into vegan cheese things at the moment. Just not on crackers/in a sandwich, but cooked is great. Its great because you can just turn on half of it if there's only two of you. And the big round bit pivots so you can either use it as shown in the picture, or as a very long thin grill which makes it much easier for everyone at the table to reach the cooking area.